I feel compelled to borrow the famous line from the 2012 Republican presidential primary from then-Texas Gov. Rick Perry who famously suffered the brain freeze while trying to name the three agencies he would terminate were he elected president. Oh, brother. Now this comes forward. 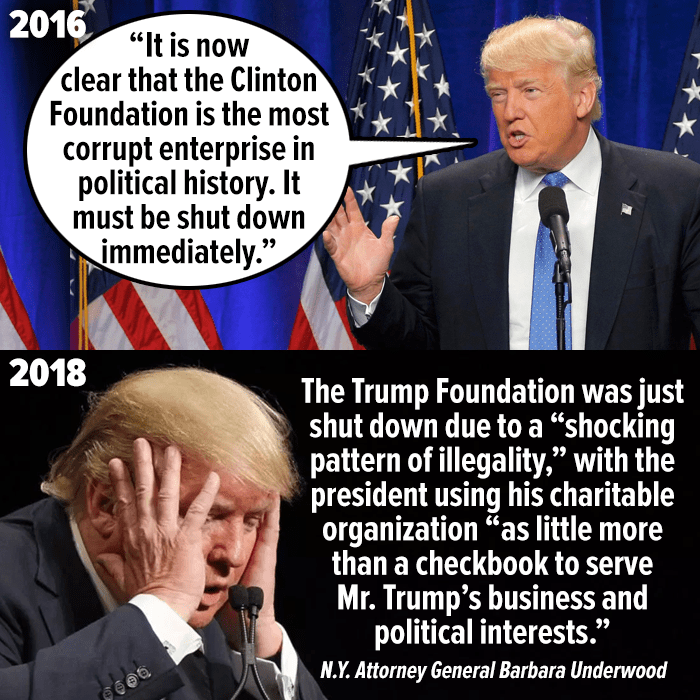 I now shall ask: Does this make the Trump Foundation the most corrupt enterprise in political history? Oh, probably not the “most corrupt.” It does seem to be pretty damn corrupt nonetheless. It’s corrupt enough for the New York attorney general, Barbara Underwood, to order it shut down . . . immediately! Let’s wait for the president to respond to this latest embarrassment. It ought to be a doozy. If it’s a foundation set up and run by a politician, it’s probably corrupt. Very , very few exceptions to this rule.